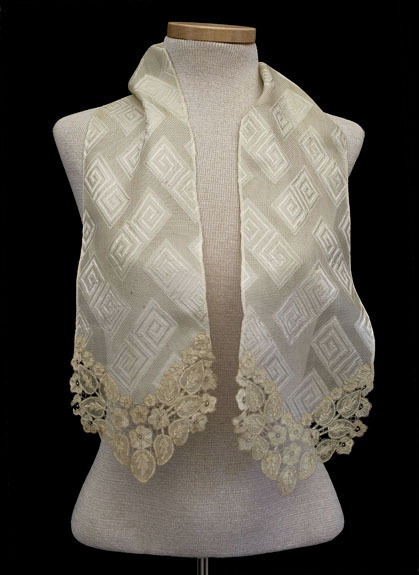 The scarf is fashioned from delicate ecru silk damask. I love the contrast of the geometric weave with the delicate flowers of the handmade Brussels linen lace borders. 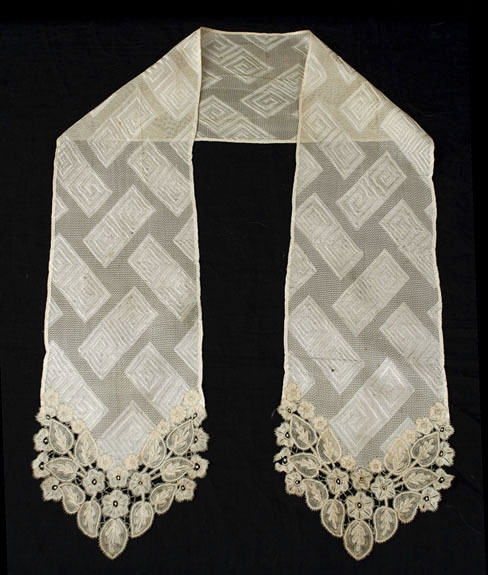 Brussels was an important center for the manufacture of fine handmade lace in the 17th century. 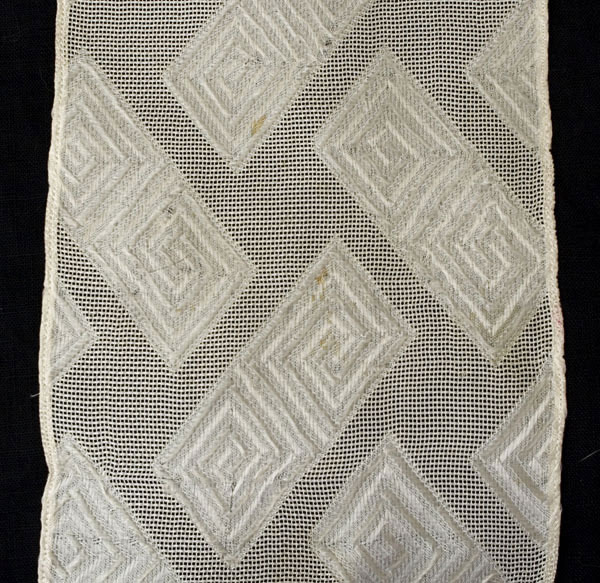 Pattern styles as well as quality improved during the Industrial Revolution. After a late 18th century decline, the handmade lace industry was revived under Napoleon's patronage, continuing through the lace trade boom of the 1840s-1880s. 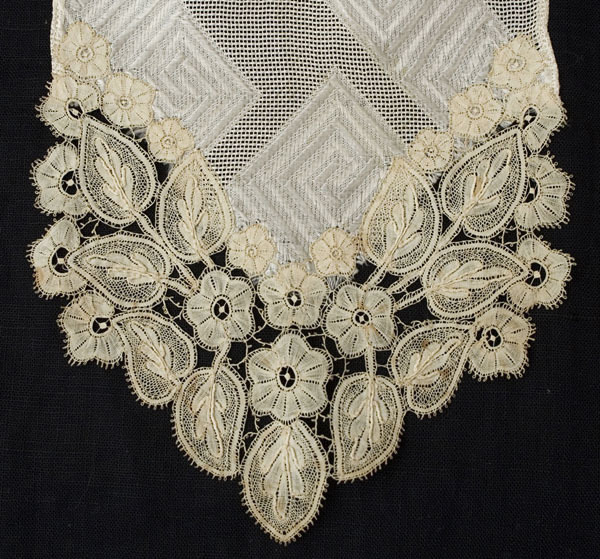 WWI ended the Belgian fine handmade lace industry, accounting for the relative rarity of Brussels lace shawls today. The condition is almost excellent. The scarf has a few pin-prick size age spots. I do not consider them a flaw but rather part of the charm of an antique textile. It measures 42 1/2" long by 5 1/4" wide.